Gun owners pour a lot of time into choosing and training with a specific handgun. They should be just as rigorous in their choice of holster. We do more than make open and concealed carry holsters for the Sig p250 compact with a picatinny rail. We create a system of customizable traits that allow the gun owner to carry their handgun exactly how they want without any compromise. 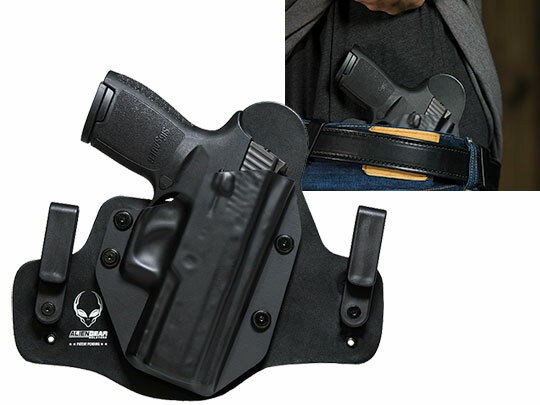 Alien Gear Holsters offers comfortable OWB holsters, IWB holsters, mag carriers and swappable shells that are as affordable as they are reliable. 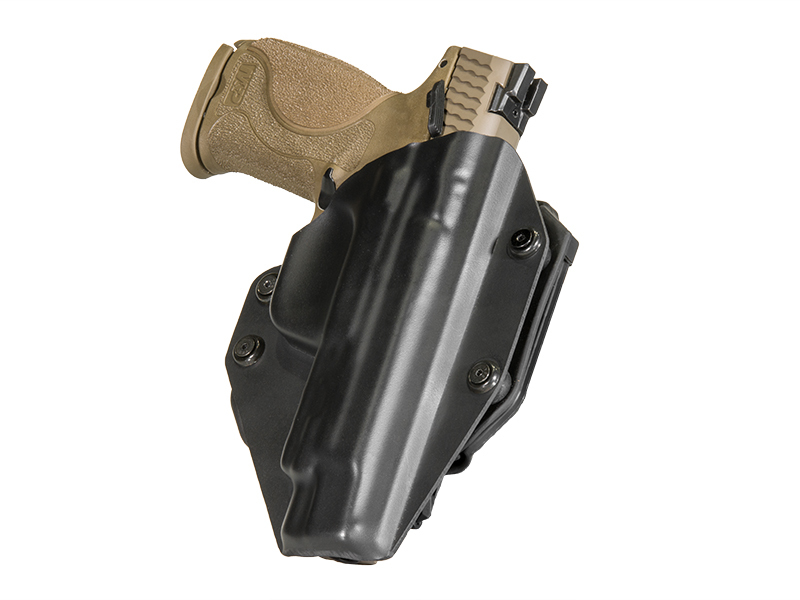 The Cloak Tuck 3.0 IWB hybrid holster is the product of relentless innovation and research. It has a backer constructed with four materials: neoprene, ballistic nylon, spring steel and thermoplastic elastomer. 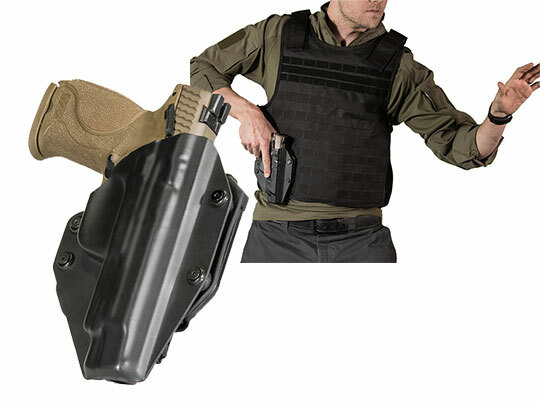 These materials wick sweat away from the holster, add durability, increase retention, provide support and make the holster immensely comfortable. The Cloak Mod OWB paddle holster was similarly designed for customization. Like the Cloak Tuck 3.0, it has adjustable cant and passive retention. The paddle clip that's attached to the backer may be replaced with an included belt slide attachment. 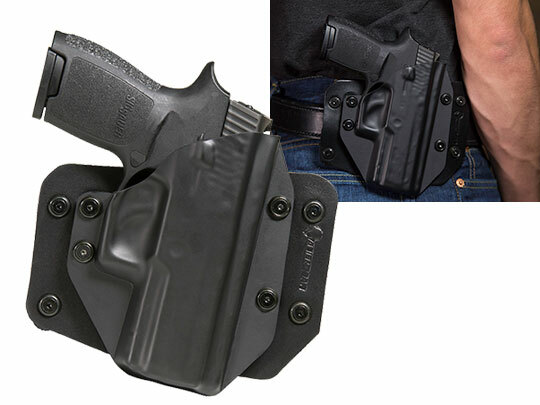 The Cloak Slide is an alternative OWB holster option for open carry. 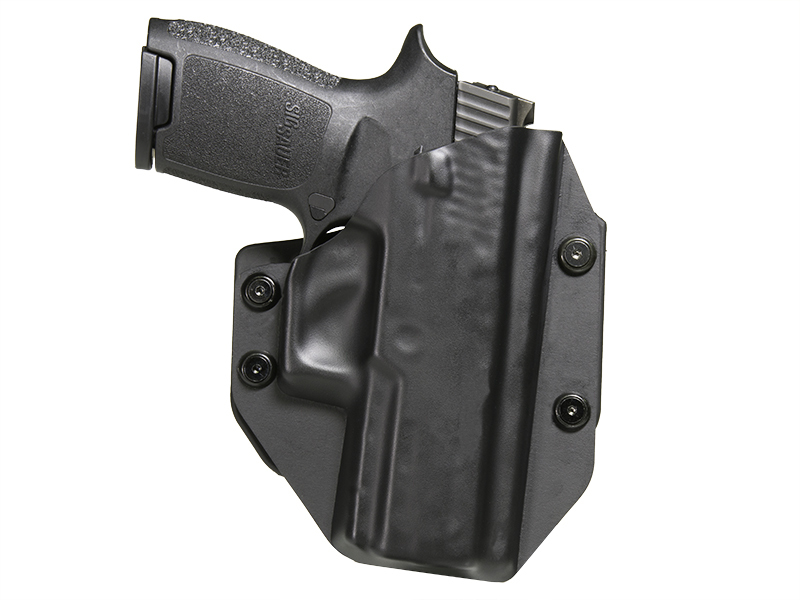 It has a high quality leather backer and a fitted shell for the railed Sig p250 compact. 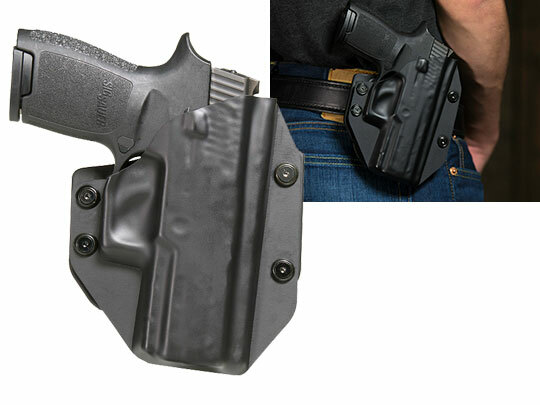 The original Cloak Tuck, an IWB holster, likewise features that leather backer. 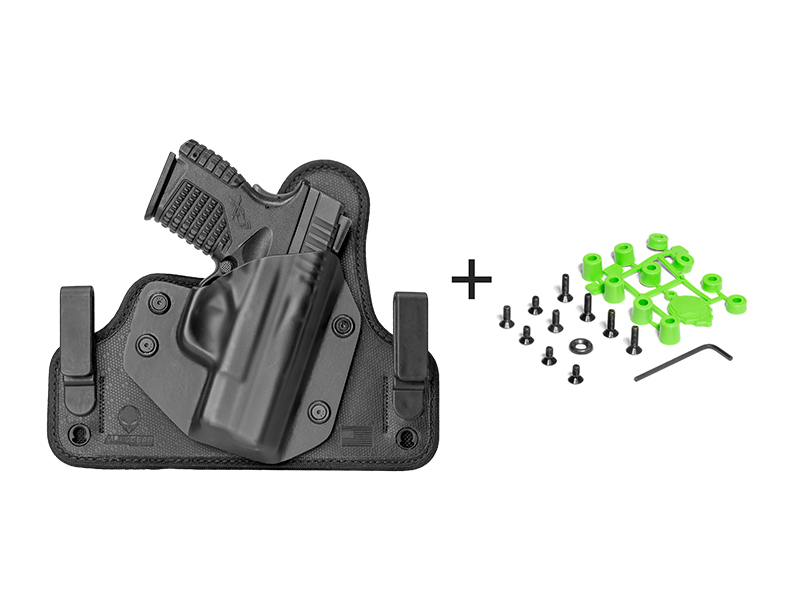 Alien Gear's Cloak Mag Carriers are available in IWB or OWB single or double configurations, and also feature customizable traits like adjustable retention and cant. All of this equipment is proudly made on American soil and secured by an Iron Clad Guarantee. That guarantee includes a Forever Warranty, 30-day test drive and free shell trades for life. This gear is made by gun owners for gun owners. It's our contribution to the gun community.